This stylish 40 ft catamaran by Bali merges comfort with style. 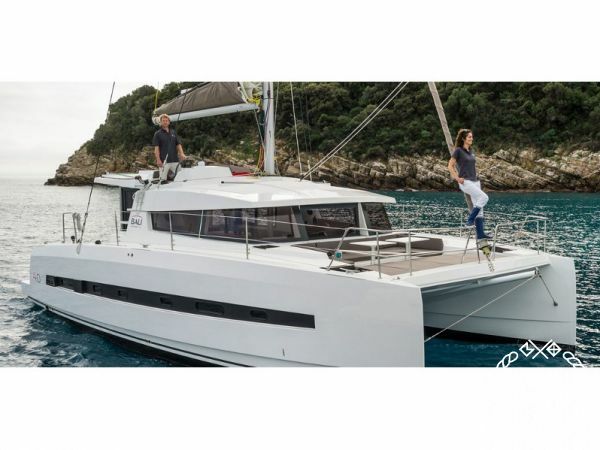 This 2016 Bali 4.0 Lounge is available to charter in Alimos, in south Athens. The Bali 4.0 is suitable for larger groups, accommodating up to 12 guests in the yachts 6 cabins. You’ll love dining and relaxing inside the salon, which offers a wonderful panoramic view out of the yacht’s large retractable windows. The Bali 4.0 offers an incredibly relaxed ride as your cruise around the Athenian Riviera. While anchored in one of Greece’s beautiful bays, lay out on the spacious deck or take a dip in the sea. Get tips for your trip on this Bali 4.0 with our sailing guide to Athens.